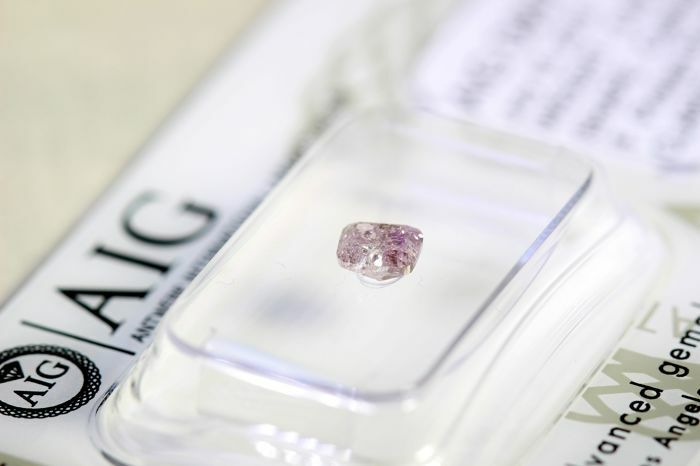 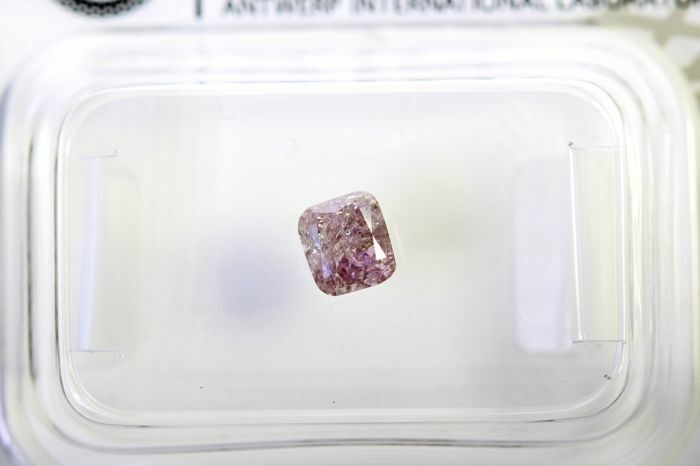 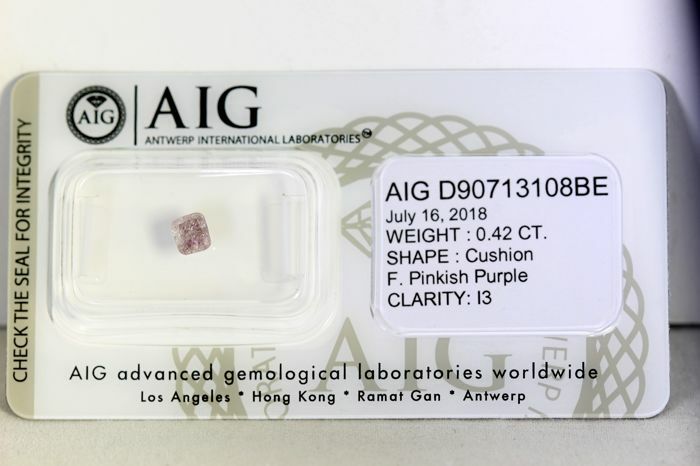 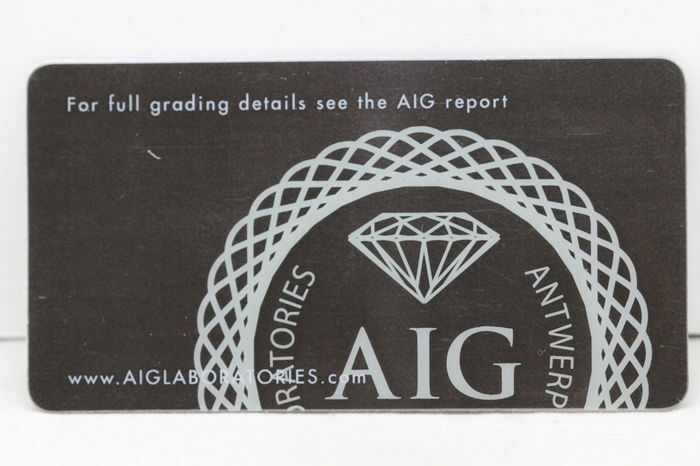 Sealed Antwerp AIG diamond 0.42 ct - fancy pinkish PURPLE. 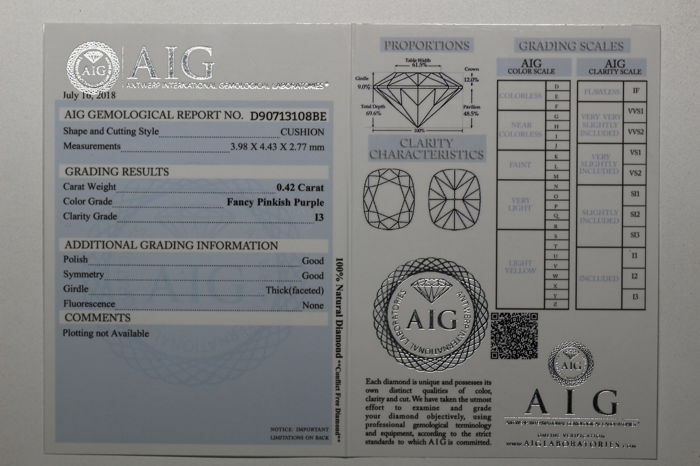 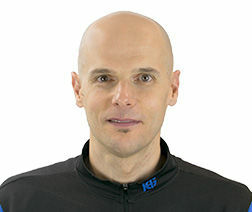 Size: 3.98–4.43 x 2.77 mm. 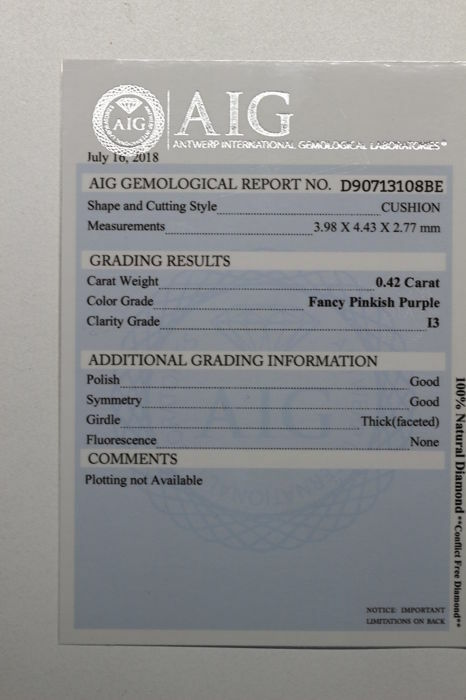 Total Carat Weight: 0.42 ct.